May 16, 2016 – The All Saints Knitting Group is proud to announce that they are providing blankets for The Ronald McDonald houses. In addition they provide hats for cancer patients. 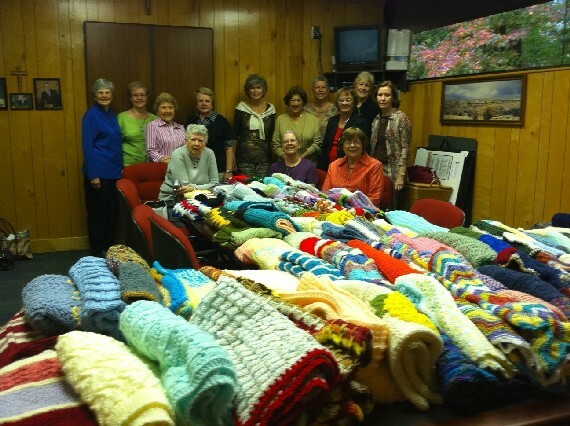 The group has received several heartfelt acknowledgements for their work from family members who received blankets They will be making a field trip to the Ronald McDonald House at Emory to teach family member who want to learn to knit. The group meets on Thursdays from 10:00AM till 12:00. They welcome any new members who might want to join.